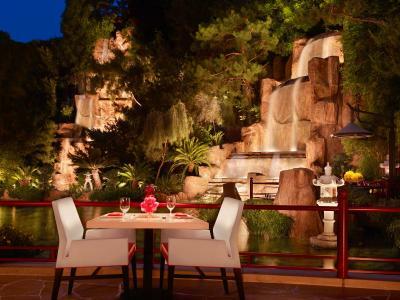 Lock in a great price for Wynn Las Vegas - rated 9.1 by recent guests. 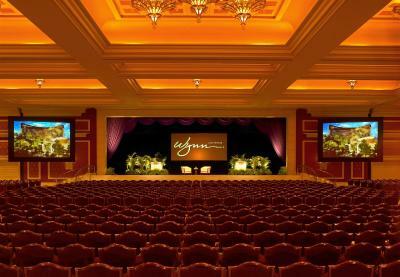 I would say that Wynn /Encore hotel are best hotels you can find in Vegas. 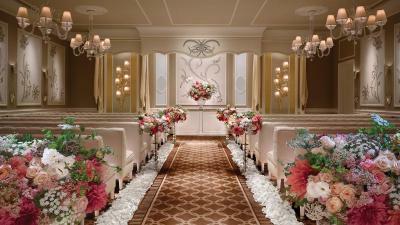 The facilities, interior, casino and spa are amazing. 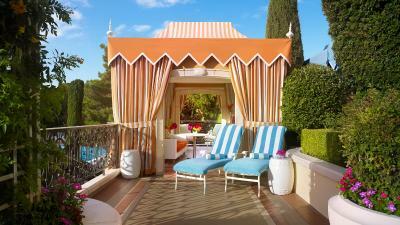 I've been to almost all 5 star hotels and believe me Wynn is the best and most new. Valet parking is free. 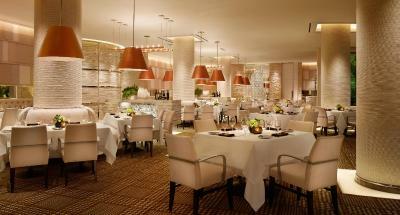 Spa is great, there are couple night clubs on the territory of the hotel, many dining options and bars. Shopping area is great too. I really loved the VIP check in / check out option to avoid the queue as we were staying in suite. 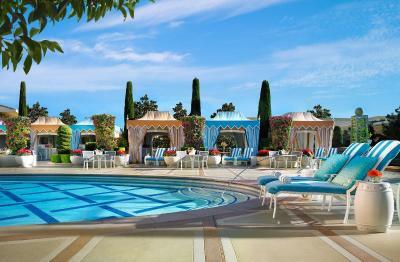 There is a separate swimming pool for VIP area, however if you are staying in suite, you can use both pools. It is a SHAME : my husband and I have been robbed in our own Bedroom while we were SLEEPING...!!!!! A lot of money was stolen, we ask to speak with manager or - at least, someone responsible, but no one took us seriously. They told us the security service will make an investigation so NO NEED to call the police. Moreover, the manager promise us that OF COURSE they will offer the 2 nights : finally nothing was offer, the security did nothing to help us, and we were terrified to spend one more night sleeping in a insecure room..... Horrible service, no help, no comprehension, no commercial offer to apologize !!! First time in a palace I see this kind of (no) service. 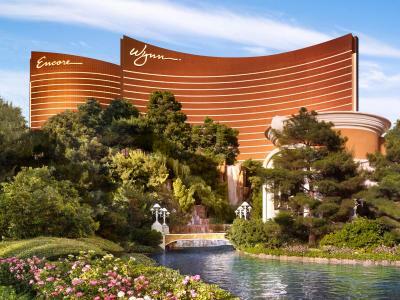 Still waiting for an offer/money back/feedback or something from the WYNN. Everything about Wynn is pure luxury! From the rooms with floor to ceiling windows, extra comfy beds and even Alexa to operate tv, lighting, air conditioning etc! Staff is second to none and makes you feel like you’re someone special! I like the Buffet. Food is very delicious. Room service is really good too. I won $3000 at craps table and that's enough for my 6 days stay here. The staff was very friendly. I got an amazing suit with a nice view. The beds were very comfortable. 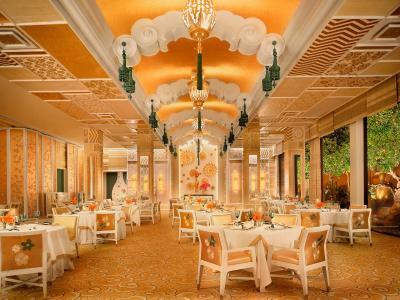 Win Lei is among our favorite retaurants in Las Vegas and it was near us. 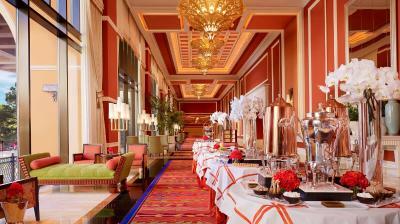 Las Vegas Strip is a great choice for travellers interested in shopping, city walks and nightlife. 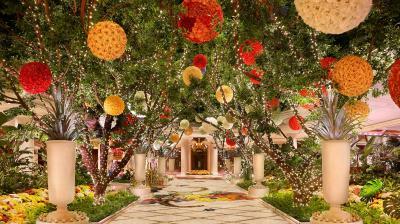 Wynn Las Vegas has been welcoming Booking.com guests since 2 Jul 2009. A flat-screen TV, minibar, iPod docking station and en suite bathroom with bathrobe and slippers are provided in this room. This air-conditioned special offer room features a minibar and guest bathrobes. This air-conditioned special offer room features an iPod docking station and a minibar. Property surroundings – This neighbourhood is a great choice for travellers interested in shopping, city walks and nightlife – Check location Excellent location - show map Guests loved walking around the neighbourhood! 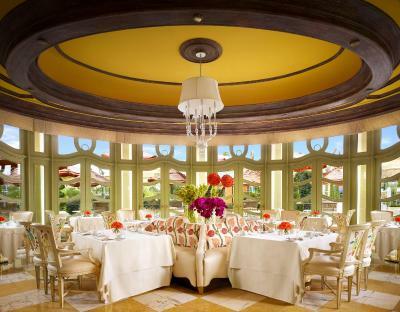 House rules Wynn Las Vegas takes special requests - add in the next step! I really upset with the level of service at the general reception, as we were promised to receive a bottle of champagne upon upgrade, however later we were told that it was misunderstanding. Also, we had few issues with the security ant the nightclub entrance as they did not accept the driving license and copy of passport of my friend and were not very polite. By the end hotel manager apologized for both situations and said hope to see you next time. 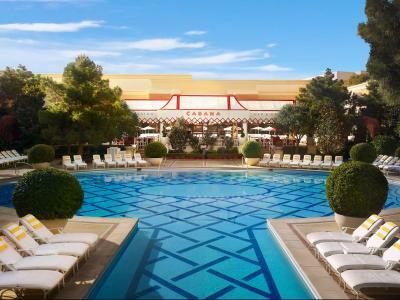 Normally in five star hotels you are getting kind of compliments like breakfast / spa treatments or upgrade for unprofessional staff treatment, but in Vegas nobody cares, you came, spent money and they fine with that.